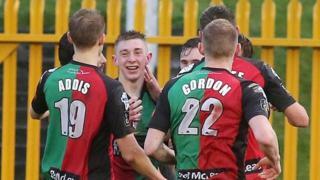 Glentoran achieve their first win under new manager Alan Kernaghan with a 2-0 success over Glenavon. 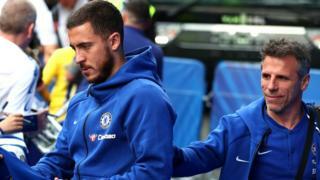 Jonathan Smith scored the opener in the first half with a flicked header while Steven Gordon wrapped it up near the end. It ended Glenavon's run of victories on their last four visits to the Oval.